The 2017 Ulster Grand Prix kicks off today with practice getting underway at the 7.4 mile Dundrod circuit. Known as the ‘World’s Fastest Road Race’, the Ulster Grand Prix boasts a lap record with an average speed of 134.089mph, set by Tyco BMW’s Ian Hutchinson in 2016. After the injuries he sustained in his Senior TT crash, Hutchinson won’t be riding this year leaving the likes of Michael Dunlop, Peter Hickman, Bruce Anstey and Dean Harrison to battle it out for the win alongside Hutchinson’s Tyco BMW replacement Dan Kneen. Practice gets underway on Wednesday 9th August and continues on Thursday 10th ahead of the Dundrod 150 races on Sunday evening. 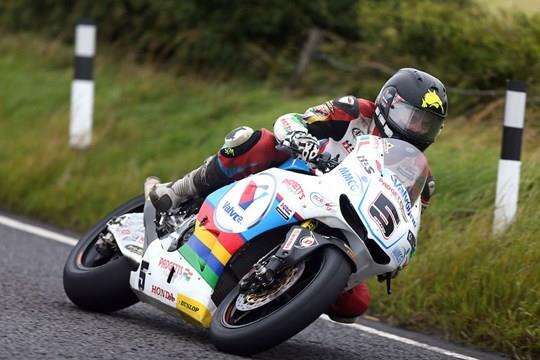 The main Ulster Grand Prix races will take place on Saturday 12th August.